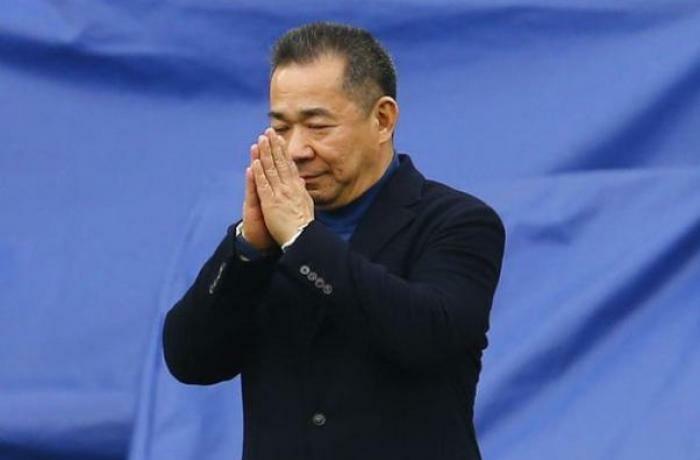 THAILAND – UNITED KINGDOM Who was Vichai Srivaddhanaprabha, Leicester City’s generous president? Who was Vichai Srivaddhanaprabha, Leicester City’s generous president? His helicopter crashed with four other people on board. The tragedy moved and saddened people in the East Midlands city, grateful to Vichai for the 2016 victory in the world’s most important football league. His empire was worth US$ 3.8 billion at the time of his death, which made him the fourth wealthiest person in Thailand. Bangkok (AsiaNews/Agencies) – The fans of Leicester City Football Club, a Premier League team, will remember their president, Vichai Srivaddhanaprabha (picture), as a reserved but generous man with a big smile. Together with two members of his staff and two crewmembers, the 61-year-old billionaire was on board of a helicopter that crashed two days ago in a parking lot near King Power Stadium a few moments after takeoff. At the end of each match Leicester City played at home, the president would take off from mid-field, heading for his property in London or his house in Berkshire. On Saturday, eyewitnesses said the helicopter appeared to develop a mechanical problem in its rear rotor shortly after take-off. In Leicester, people are still stunned and grieving. The East Midlands city has been grateful to the Thai tycoon for their first victory, in 2016, in the Premier League, considered the world’s top football league in what was deemed the most incredible Cinderella story in the history of world sport. At present, fans are laying flowers, scarves, Buddhist prayers and sacred images in honour of the president, who bought the team for 39 million pounds in 2010. After the unexpected success of 2016, the club is now valued at 371 million of pounds. In Thailand and in the United Kingdom, Vichai had a reputation as a benefactor. The day after the Premier League victory, he donated £ 1 million (US.3 million) to the Royal Leicester Infirmary, a local hospital. The billionaire had a great relationship with fans. He used to celebrate his birthday by offering them cake. He bought beer, breakfast and scarves for travelling supporters. This style is in line with the success he achieved in business. In 1989, Vichai was granted a licence to open the first duty-free shop in Thailand. The expansion in airports followed, giving his King Power International Group a monopoly in duty-free shops in the country’s main airports. Today King Power is worth US$ 3.8 billion, making Vichai Thailand's fourth-wealthiest person. His family's empire also included Accor's Pullman hotels in Thailand, and a 6 million stake, bought in 2016, in the country's biggest budget airline, Thai AirAsia. Last year, Vichai also enlarged his football interests, when he bought Belgian second-tier club Oud-Heverlee Leuven. Vichai was Buddhist and used to invite monks to bless the King Power Stadium. The father of four children was born Vichai Raksriaksorn, but in 2012 the King of Thailand recognised his achievements by giving his family a new surname, Srivaddhanaprabha, which means "light of progressive glory".